Happy Mother's Day, I hope if you're a mother you get to have a relaxing enjoyable day. We make no secret of the fact that we love having flowers in our house. All you have to do is look at my Instagram profile and you'll see that 75% of my photos are of flowers. The added benefit is that they also make the house look pretty. In just under two weeks it's Mother's Day...make sure you don't forget. When you become a parent you learn very quickly that things like Mother's Day and Father's Day are very important. I may not have made the most effort once and I've never been allowed to forget this. Experience tells me that pretty flowers always go well when it comes to Mother's Day. When The Flower Studio said they'd like to send us some flowers to help celebrate Mother's Day we said yes straight away. They bouquet they send us was called Eve Vintage Rose which all of the photos on this blog post are from. These also come with a free glass vase which when you're giving a bouquet as a present is very handy. When the flowers arrived the looked fresh and healthy. Some of the flowers were opened with others opening up in the coming days. The glass vase that it came in was perfectly sized. This bouquet sells for £39.99 and as the vase is worth around £20 I'd say it was pretty good value. In total the flowers lasted for about 2 weeks, possibly a little bit longer. 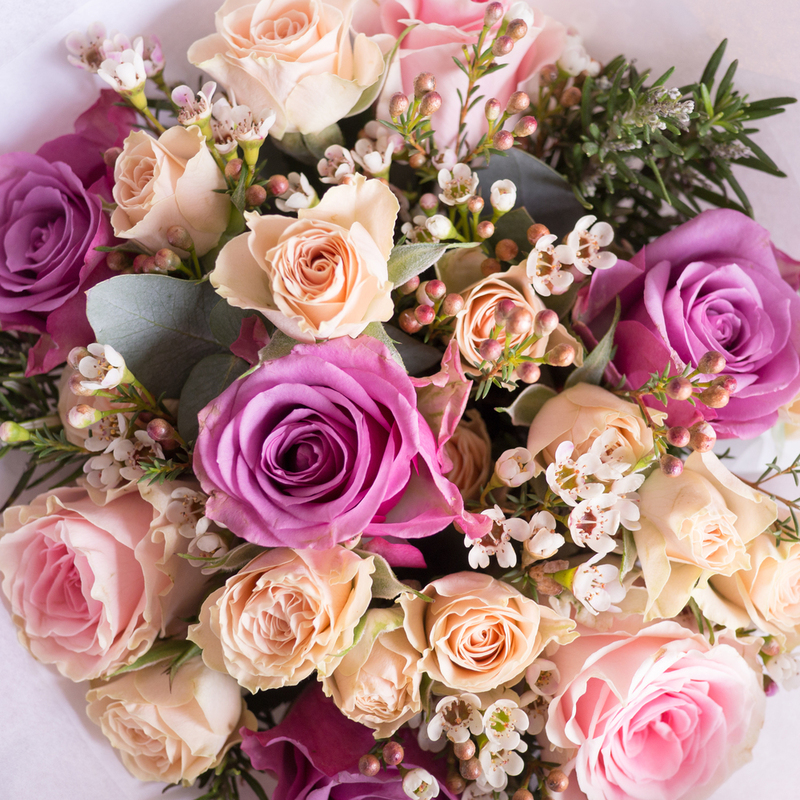 If you pop over to The Flower Studio and enter code MUM15 you'll get 15% Off Mother's Day Flowers. We were sent these flowers for the purpose of this post, all thoughts and opinions are our own.